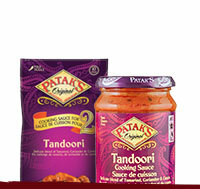 A new collaboration between Patak’s and Blue Dragon Canada. Together, we will be exploring authentic recipes, cultural events, and community highlights spanning from India all the way to East Asia. We can’t wait to embark on this adventure with you. Because nothing says “I Love You” like bacon. Stacie Vaughan from Simply Stacie is one of our Cultured Kitchen ambassadors. 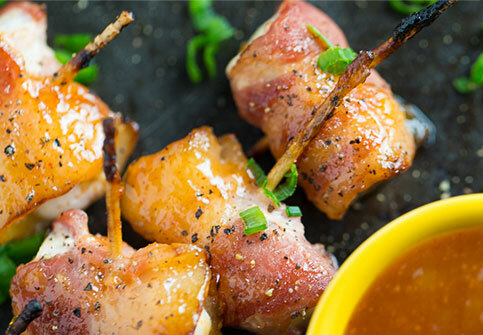 Mix in her deliciously simple Bacon Wrapped Chicken Bites With Mango Chutney for your special someone. Save the date because you’re invited to Blue Dragon’s Chinese New Year Twitter Party. 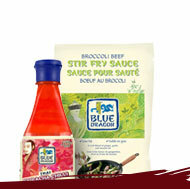 Take part in product giveaways, authentic recipes and a free special surprise when you use the hashtag #BlueDragonCNY. It’s also a great excuse to eat Chinese food all night long. 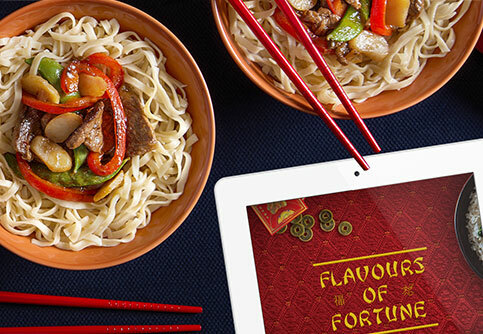 Immerse yourself in the world of fusion with Blue Dragon’s Flavours of Fortune Volume 1 cookbook. Get ready for a tasty collection of easy and authentic recipes right at your fingertips.